With so many events taking place, it’s hard to figure out which to go to. Luckily for you, we at Sated have created a cheat-sheet guide to the Best Events at London Cocktail Week 2017. To find out about the Best Bars at London Cocktail Week 2017, read our events guide here, and you can find out all about London Cocktail Week 2017 here. A familiar name on the ever-growing Bethnal Green cocktail scene, Satan’s Whiskers, teams up with the world-renowned Tales and Spirits, for one night of Woodford Reserve cocktails. 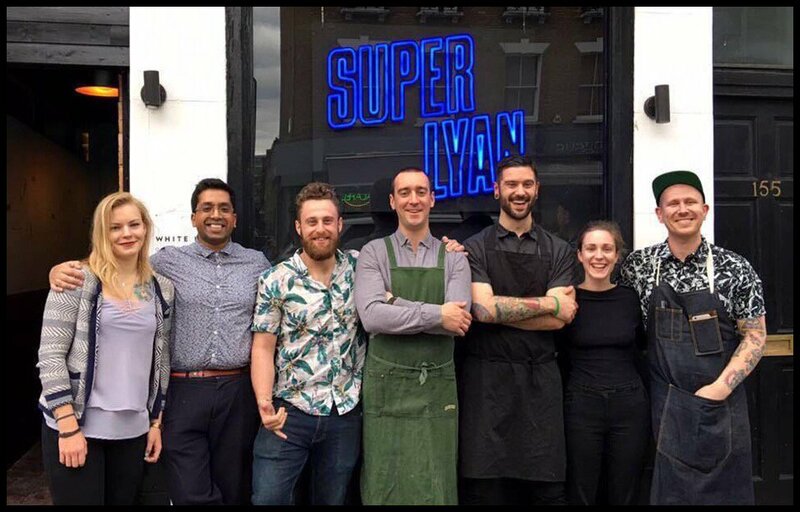 Kicking off London Cocktail Week with a superhero style collaboration of bartenders, Super Lyan will be welcoming the team from the award-winning Melbourne cocktail bar Black Pearl for a one-night only takeover. A special menu of Bacardi serves will accompany the partnership with Super Lyan’s Ryan Chetiyawardana and head bartender Will Sleeman joined by Black Pearl’s Rob Libecans, Kitty Gardner, and Chris Hysted-Adams. Oriole Bar is teaming up with Diageo World Class to bring an Autumnal extravaganza opening party to London Cocktail Week. Expect live foot-stomping, old school Chicago blues, burlesque and of course, phenomenal cocktails. Free entry (+ one free welcome cocktail per person). Limited spaces available. Time Out London Best New Bar runner-up, Three Sheets, pairs up with New York’s Employees Only, to create a bevvy of Woodford Reserve cocktails for one night only. Continuing on the whisky theme, come on down to this subterranean den for an evening of sampling four expressions of Talisker Whisky, paired with artisanal chocolate, tailored by whisky bar manager, Thomas Solberg. Whilst many of you may know Nikka for its award-winning whisky, you may not be aware that they have they have been working on creating a gin! This event will mark the exclusive launch of the new gin, and you are invited! The night will start with a welcome drink, followed by a one-hour Nikka Masterclass, including a full tasting session complemented by three ROKA canape dishes. Happiness Forgets is one of the Worlds 50 best bars, and affectionately known as the ultimate neighbourhood bar. This LCW, the team will be throwing a house party, reminiscent of the late 90s/early 2000s. With good music, happy vibes and specially curated drinks, it’s sure to be a great night. After a string of successful collaborations this year including Claridges and The Westbury, Dublin, The Dead Rabbit will be venturing East and going back to the bar’s roots at one of our favourite Bethnal Green haunts. The Dead Rabbit’s beverage director, Jillian Vose, will be joining The Sun Tavern for a night of revelry and a guest shift behind the bar. A bespoke cocktail menu curated around Slane Irish Whiskey will see three of Jillian’s cocktails accompanied by three of The Sun Tavern’s. As befits the bar’s musical nature, a Cèilidh band will also soundtrack the night followed by a DJ set playing throwbacks to classic gigs at Ireland’s Slane Castle (think David Bowie, Bob Dylan, The Rolling Stones, & Bruce Springsteen to name a few). Hosted at Crucible, the world’s first creative hub for the drinks industry, Stu Bale will take you on a scientific journey highlighting various techniques used to create different flavours and aromas. The 30 minute session will be in association with Gin Mare, the Mediterranean gin, Capucana cachaca, Ysabel Regina, 1724 tonic water and 22 Artesian Water, and will be conducted by water sommelier, Arnau Marco Casasampere. Each participant will get a full day pass to be redeemed at Crucible whenever they like. Mr Black Spirit and Brooklyn brewery come together for an evening of coffee and beer cocktails! For one night only, Peony will be showcasing a menu of Bespoke caffeinated and brewed beverages. BACARDÍ and The Red Rooster at The Curtain are combining forces to bring rum and rhythms to the East London’s hip basement on curtain road. BACARDÍ rum cocktails will be served to the sounds of carefully selected DJs and a yet to be announced special guest. This party promises to be fun, full of rum and to go onto the early hours. Autumn is on the verge of tightening her cool grip, but ROKA Canary Wharf aren’t prepared to let go of our sweet summer days just yet! Come give the season the send-off she well and truly deserves as we celebrate the third and final party in their three-part series. Expect live DJs and copious amounts of cocktails amongst Japanese greenery. In just 30 minutes you’ll be talked through the botanicals commonly found in gin, how they work together to create this delicious and distinct tasting spirit and how Willem Barentsz has created their own unique blend with natural jasmine flowers and a split base of both wheat and grain. Everyone has their own preference in taste whether you are a savoury, sweet or bitter kind of person, these can all be found in a selection of specifically chosen dry botanicals that can be added to your G&T to make it truly yours. 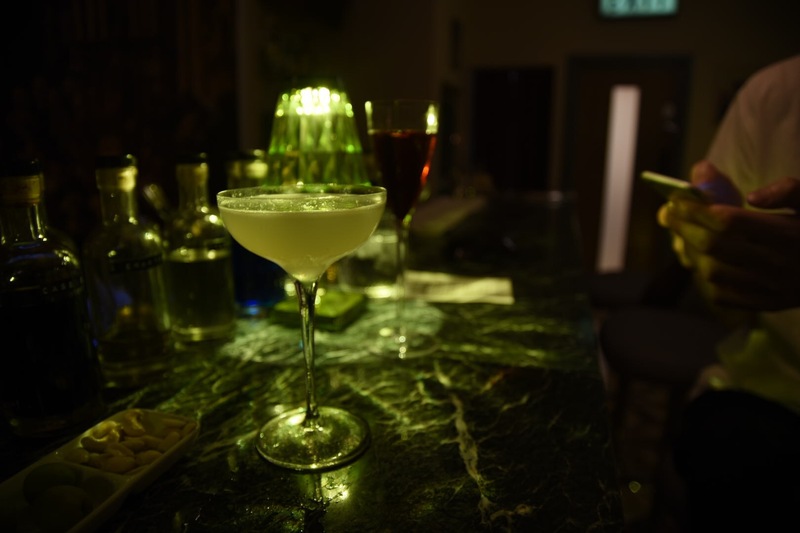 A Sated favourite, Classics cocktail bar Devil’s Darling, will be transporting guests to Paris when it hosts two of the French capital’s best bartenders. The wonderfully personable Aurélie Panhelleux, co-owner of Copperbay, and Hyacinthe Lescouët of Les Grands Verres, will mix up a selection of classic cocktails using traditional French brands. Joined by French Classics Brand Ambassador Clotilde Lataille, the trio will bring a taste of Paris to London in the hidden cocktail bar on Christopher Street. Yes, you read that right. A slection of cocktails designed by Jägermeister UK’s award-winning brand ambassador, Florian Beuren, will accompany a German feat, created by multi-talented former JägerMusic artist and chef, Dale Evans. Expect Berlin vibes and a long, lazy (and probably quite drunken) brunch. Dante NYC, one of the World’s Best Bars will be popping up in London for the first time at Madison’s Rooftop Bar near Bank. 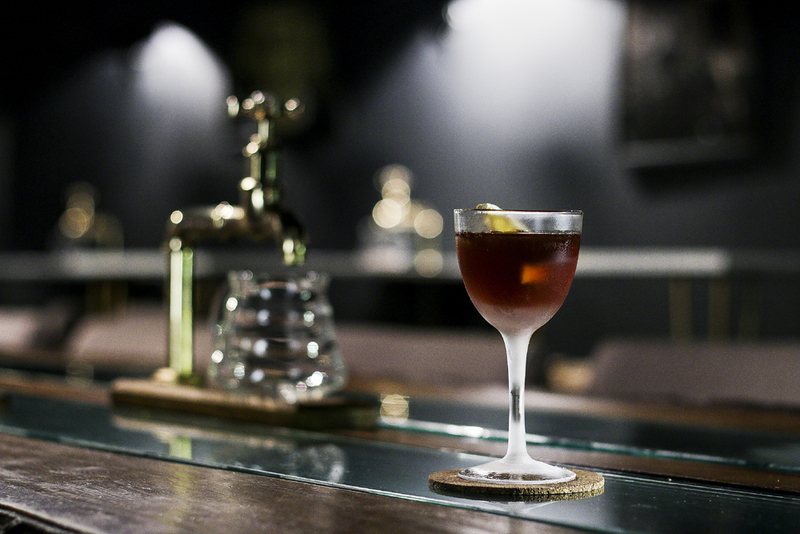 The drinks menu will feature some of Dante NYC’s greatest hits including their modern classic, the Garibaldi. Cocktails from their very popular Negroni Sessions will include the Chocolate Negroni. Also joining the line-up will be the gin-based Rooftop Life – one of two unique serves inspired by Madison’s rooftop scene, created especially for the pop-up. Concealed behind the masquerade of a vintage-style Mac repair shop on Hackney Road lies one of our favourite hidden gem, The Natural Philosopher. An entirely new bar housed in the shop’s window will be created for LCW and transformed into a Ketel One Vodka Kitchen. Serving up a brand-new menu of Ketel One Vodka cocktails that will continue after the festival has ended. The bar will also welcome an exciting international bar take-over, with two superstar bartenders from L’Fleur in Prague arriving to showcase their Czech cocktail skills to lucky guests. An exciting partnership between Matt Whiley’s latest bar, Scout, and Singaporean Operation Dagger. Spread over two floors, downstairs the team from Operation Dagger will showcase a selection of Woodford Reserve cocktails, whilst upstairs the team from Scout have created unique Bombay Sapphire drinks. On Friday – three of the most prolific and creative bartenders of our time – Matt Whiley, Alex Kratena and Luke Whearty come together to take over the bar and cause inevitable havoc. We cannot wait to see what these industry legends come up with! Chivas Regal has announced that it is bringing back The Blend, a new space where you can delve into the fascinating world of whisky and take part in an ‘Art of Blending’ experience. Take part in your own ‘Art of Blending’ session – a fun and informative 45 minute experience hosted by Chivas Regal whisky experts. Study the craftsmanship of a master blender and learn how the different flavour notes are ‘blended’ to create the distinctive Chivas Regal house style, then give it a go yourself to create and take home your very own blended whisky to enjoy. Earlybird: 2 tickets for £30, General admission: 1 ticket for £20. Book here. Enter the mind of Tommy Dewar, the man who masterminded a global Scotch whisky empire with wit, charm and barrels of verve! Find the secret entrance through mists and aromas of whisky vapour in John Dewar & Sons Fine Scotch Whisky Emporium, then prepare to be guided through the weird and wonderful Scotch Egg Club, where Tommy’s passion for Whisky & Chickens comes alive. Three rooms, three distinct whisky-fuelled experiences. Free entry to all but the Scotch Egg Club, which is ticketed at £12. Tickets purchasable at the venue. The globally touring pop-up that is Trash Tiki returns home to London! Making this extra special, the entire pop up will be run from the food & drink waste vendors at the official London Cocktail Week Village donate. Brought to you by Kelsey Ramage and the much-loved Iain Griffiths (Mr Lyan/White Lyan), the founding duo is also joined by international bartending talents Bethany Ham (LA) and Zachary de Git (Singapore) for a week of good times, loud music and anti-waste cocktails. Ableforth’s is bringing its award-winning range of craft spirits, including the one and only Bathtub Gin, to life with a day-to-night cocktail den, Ableforth’s Underground. The subterranean cocktail pop up will be located just a stone’s throw away from the main London Cocktail Week Hub, in the heart of all the cocktail action. By day, trade and consumers alike are invited to stop by and retreat from the madness while enjoying coffee and free wifi. By night, the space will be transformed into a lively cocktail hideout with international guest bartenders, a gamut of games (including Gin Rummy & Rummikub) and most of all, great cocktails. Hendrick’s is well-known for its phenomenal, experiential pop-ups, and this year’s LCW event promises to be no different, as they seek to make the exit from the capital as breezy swift as though flying in the giant cucumber itself. Hendrick’s will be whisking our international guests to the airport after a series of innovative therapies, treatments and polite diversions, while local guests can also enjoy all of the wondrous benefits of the lounge. Just in case your liver isn’t quite pickled enough, this year, Old Truman Brewery will play host to Tequila & Mezcal Fest, with some of the world’s most diverse and exciting agave-derived spirits under one roof. A true celebration of the vibrant and rich Mexican culture, fully endorsed by the Mexican embassy, Tequila & Mezcal Fest educates and informs guests about how to drink these exotic, fine spirits. Guests can also discover the true essence of Mexican culture through delicious tacos, music, contemporary art, Aztec ceremonies and folkloric dance, just don’t forget to change your pounds to pesos on the door! For LCW Digital Pass holders there’s also something special! Just flash your pass for a free cocktail on arrival! 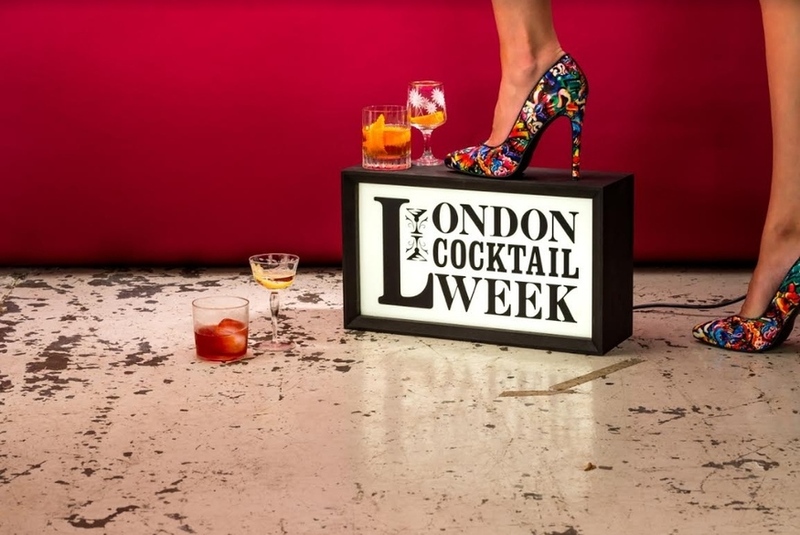 For an exhaustive list of all events at London Cocktail Week 2017, visit the website here.